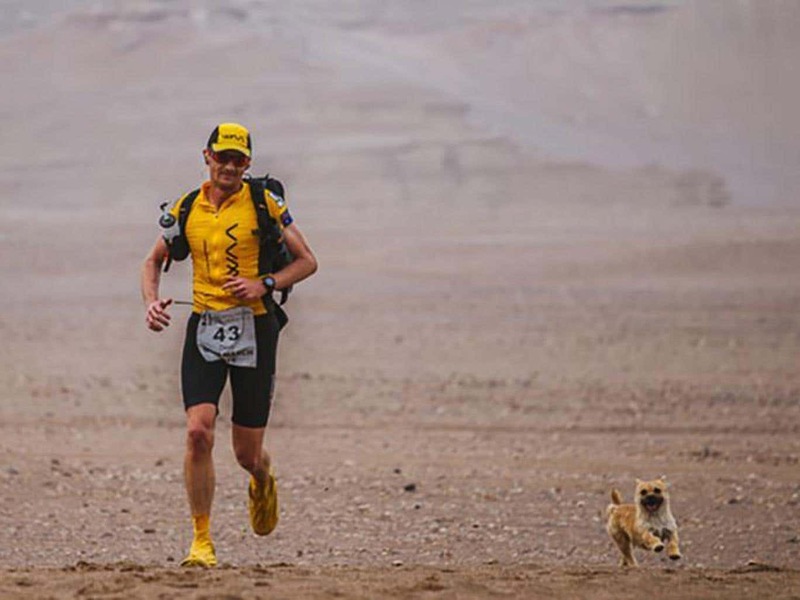 A small stray dog had won hearts all over the world after deciding to follow an Australian runner for several days during an ultramarathon through China’s vast, forbidding Gobi desert. Dion Leonard fell in love with the dog, named her Gobi and planned to bring her back to his home in Edinburgh, Scotland. This short BBC video tells the story. 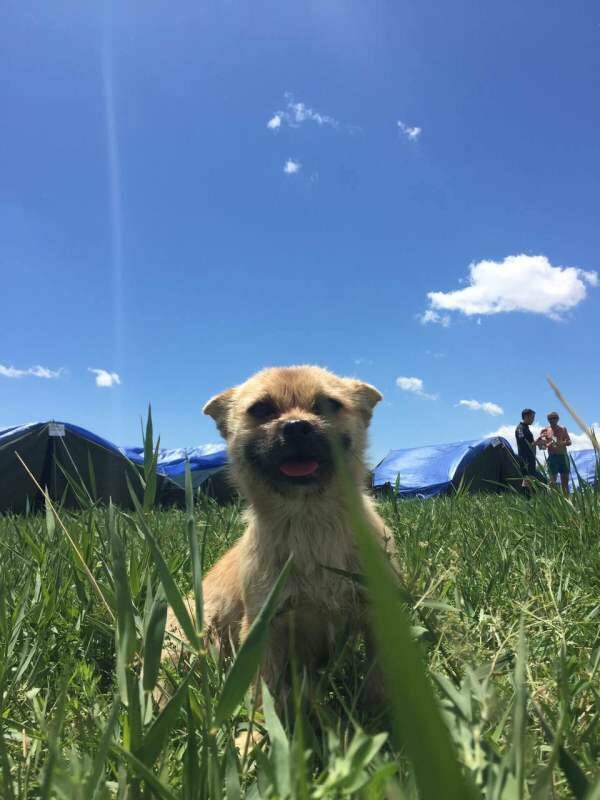 Then, on Aug. 15 , just before she was due to travel to Beijing to enter quarantine, the dog disappeared, scampering out an open door in the Chinese city of Urumqi, where she was being looked after. Leonard flew back to China to look, launching a media and social media campaign and putting posters up all over the city. 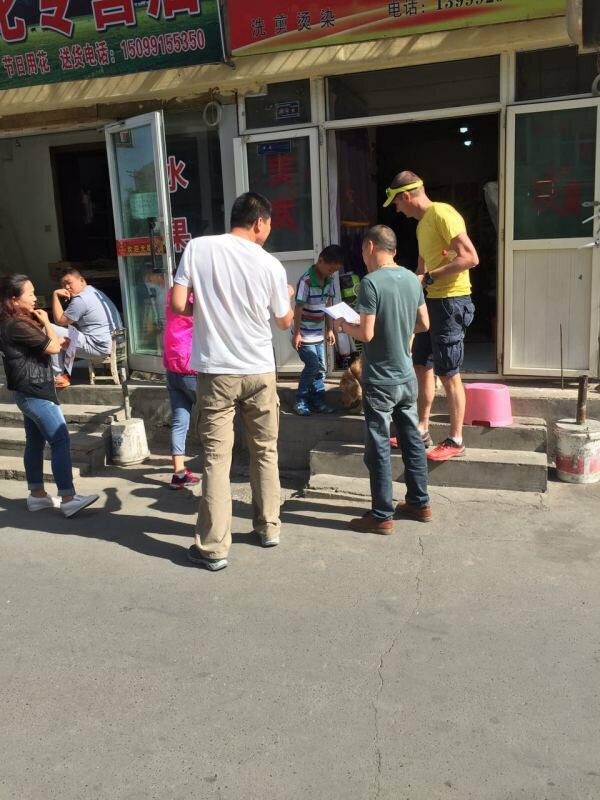 Volunteers helped him scour Urumqi, asking guards, taxi drivers, cleaners and fruit vendors; visiting parks and dog shelters; and talking to anyone who might have seen the dog. Local television interviewed Leonard, and residents stopped him in the street to say they were looking, crying about the story, he said. Phoenix media even launched a live blog to update people about the search. But at the bottom of his heart, Leonard feared it would be a fruitless quest. 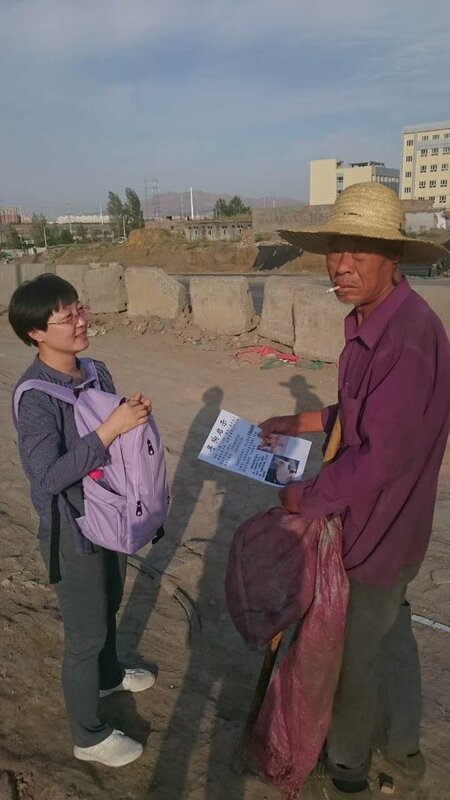 Urumqi is a huge city of 3 million people, and he feared the dog could even have run back into the countryside that surrounds it, where people speak the Uighur language, don't use social media and were unlikely to even be aware of the campaign. Then, on Wednesday evening, a Chinese man called: He and his son had seen a small stray dog in a local park while walking his own dog. They had brought her home and thought she could be the one. Still, after a couple of false alarms, Leonard was skeptical. The man had sent pictures, but the lighting wasn't good. "Walking into the room, I was already thinking this isn't going to be Gobi, and I'm a bit down about the last few days," he told The Washington Post. "I walked into the room, and I didn't say a word. There were actually about 10 people in the room at this stage." "Gobi spotted me as soon as I walked in, and she started running toward me. 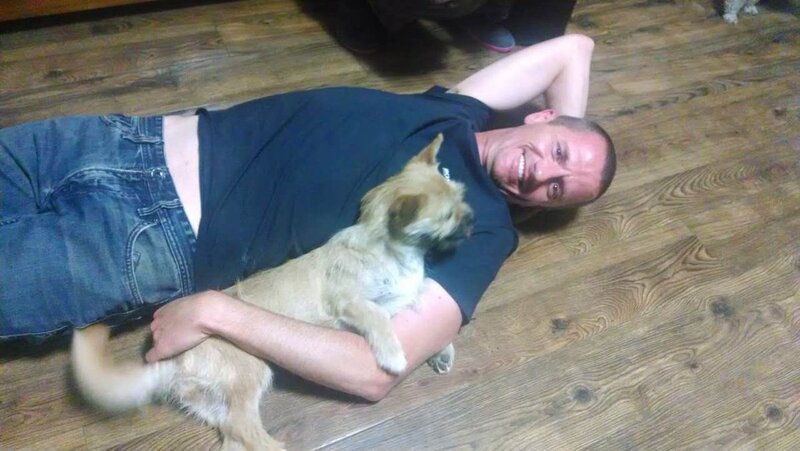 Literally, she was running up my leg and jumping all over me and squealing with delight." "It was just mind-blowing to think that we had found her," he said. "It was a miracle." Talking to the BBC earlier, Leonard called it "love again at immediate sight." We bloody well found her!!! Leonard told the BBC’s Phil Williams that he had struggled to stay positive during his stay in Urumqi, especially as time ran out before he had to return to Britain next week. "I had actually spoken to Phil the night before, and I was pretty down and depressed about things," he said. "I was starting to realize this wasn't going to happen." Leonard told The Post that the day he had heard Gobi had gone missing was "pretty close to one of the worst days" of his life but that being reunited with her was one of the best. He said Gobi had not left his side Thursday and said he can't pinpoint why the dog had formed such an immediate and close bond with him. "It must be something about my smell or something that she likes," he said. "But literally, as soon as I walked in, she clocked me. It was just like we were back together again at the race." Leonard raised 19,700 pounds ($26,050) through a crowdfunding campaign to cover the costs of bringing Gobi back to Britain, and a further 9,300 pounds to finance the search. He paid tribute to everyone around the world who had supported him, and especially to the people of Urumqi, whose response he said had been "overwhelming." "The amount of people we've had volunteering, going out from 6 in the morning to midnight trying to find her has just been absolutely amazing," he said. 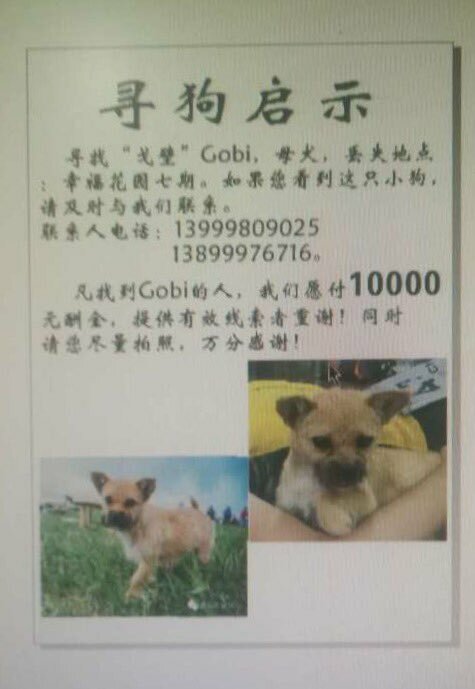 When Gobi went missing, some media reports had highlighted the dog meat trade in China, he said, but that was ridiculous. "Urumqi is far from that. It is very much a dog-loving city," he said. "You could see that by the response of everyone, getting out in their own time to help. Without them, I wouldn't have found her. It's as simple as that." 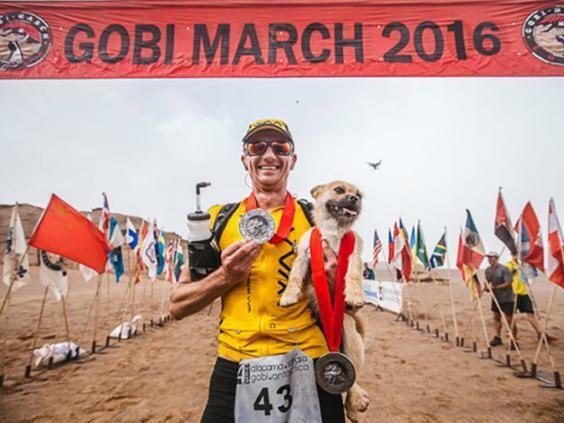 Recalling the race, he said Gobi had completed four of the six day-long stages of the ultramarathon, running around 80 miles with him. The pair even won the third stage together. "She's beaten some pretty damn good athletes," he said. "She has definitely got a big heart for a little dog." Leonard says Gobi now has to undergo 120 days of quarantine in Beijing, but he hopes to come out once or twice to visit her during that time — and then have her home with him by Christmas. Leonard can also be heard talking to the BBC’s Phil Williams about finding Gobi here, about 4 minutes 50 seconds into the program. 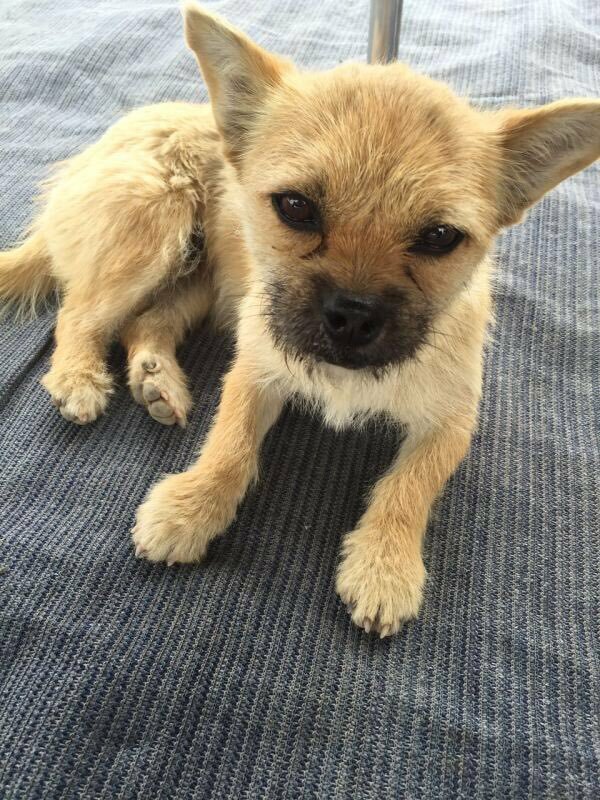 I'd been following this on Twitter, so glad they found that little dog. 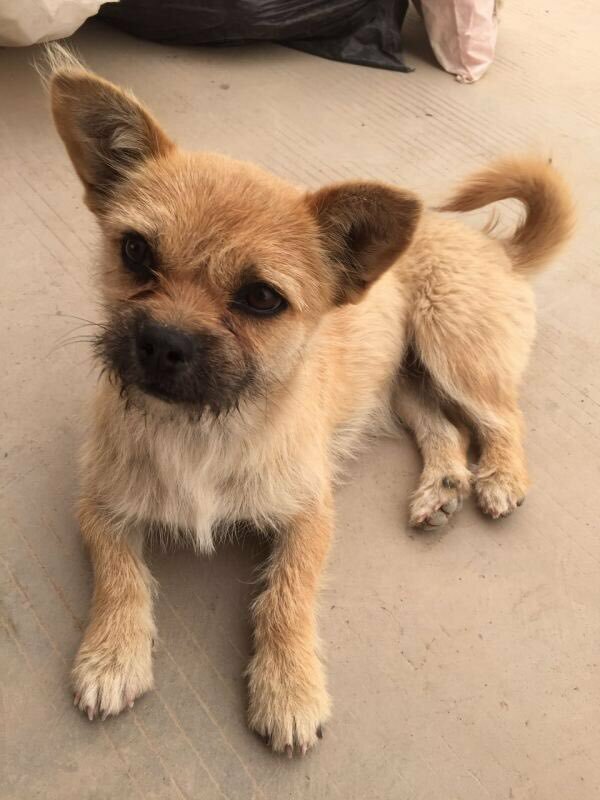 If the little dog has to spend 180 days in China she will think she's been abandoned. He really loves that little dog it will be heart breaking for him to be far away..Will she have to be quarantined again when she gets to Britain? He's Australian Nicko, so I don't know. sassy wrote: He's Australian Nicko, so I don't know. 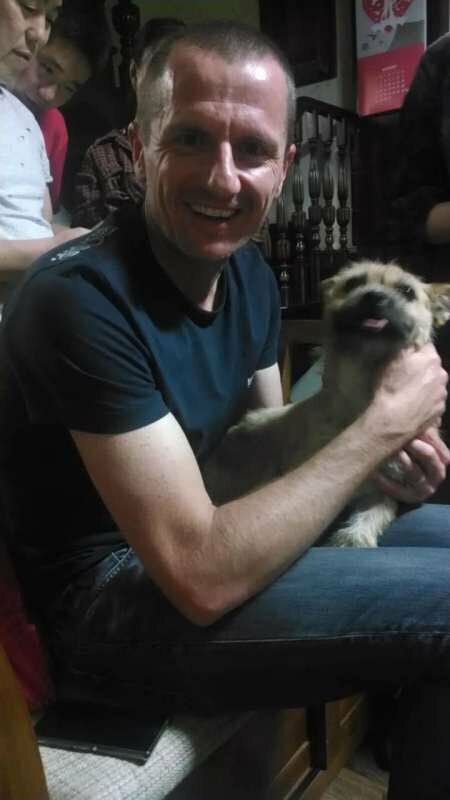 Dion Leonard fell in love with the dog, named her Gobi and planned to bring her back to his home in Edinburgh, Scotland. lovely little courageous dog and a happy ending; I see a movie in their future! 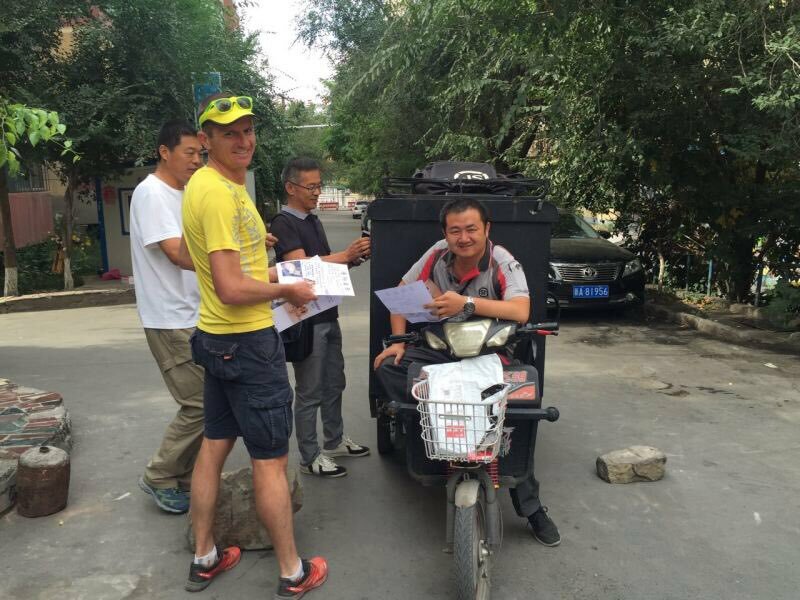 nicko wrote: If the little dog has to spend 180 days in China she will think she's been abandoned. He really loves that little dog it will be heart breaking for him to be far away..Will she have to be quarantined again when she gets to Britain? the dog is going to scotland... I guess they will? here the answer would be yes. The dog was lucky he never ended up in a pot boiled alive, like hundreds if poor dogs and cats.